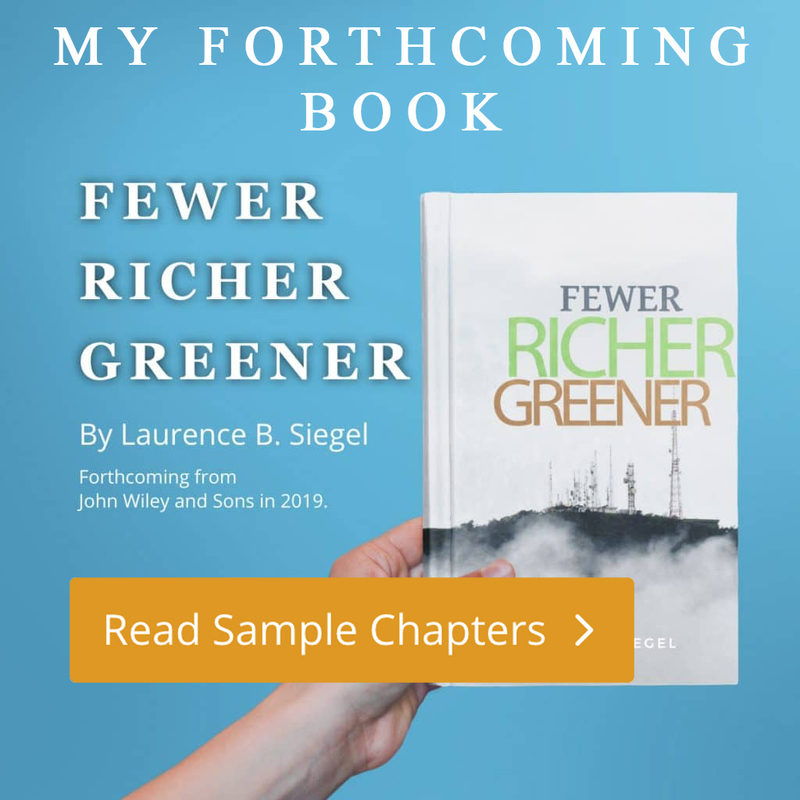 On June 27, 2018, I spoke with Byron Wien of the Blackstone Group, a longtime friend of Advisor Perspectives and the author of the widely-followed Ten Surprises series of predictions, which Byron has produced for 33 years. 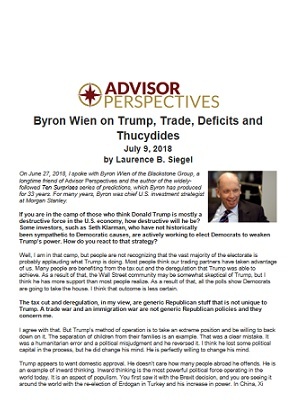 For many years, Byron was chief U.S. investment strategist at Morgan Stanley. If you are in the camp of those who think Donald Trump is mostly a destructive force in the U.S. economy, how destructive will he be? Some investors, such as Seth Klarman, who have not historically been sympathetic to Democratic causes, are actively working to elect Democrats to weaken Trump’s power. How do you react to that strategy?